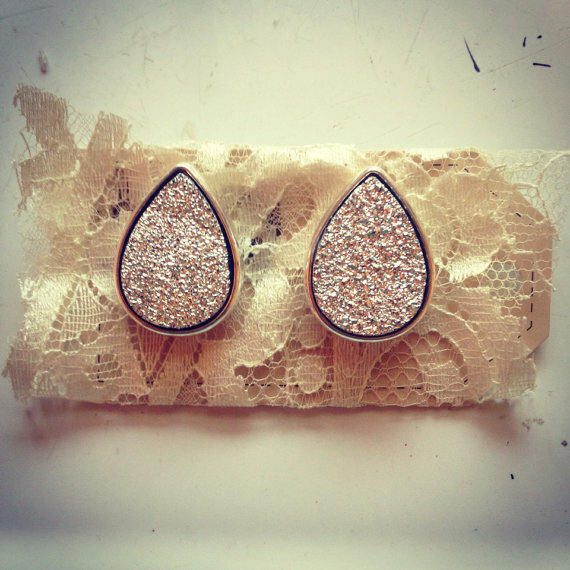 Sparkling and Delicate: perfect for winter holiday parties and festivities. 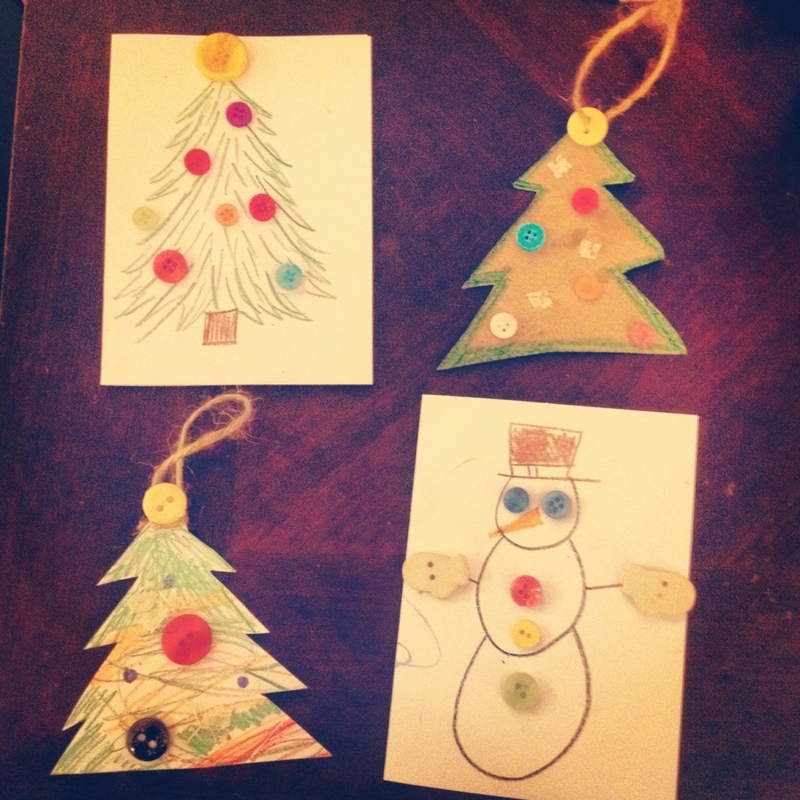 Today, Sam and I made some precious homemade cards and ornaments. 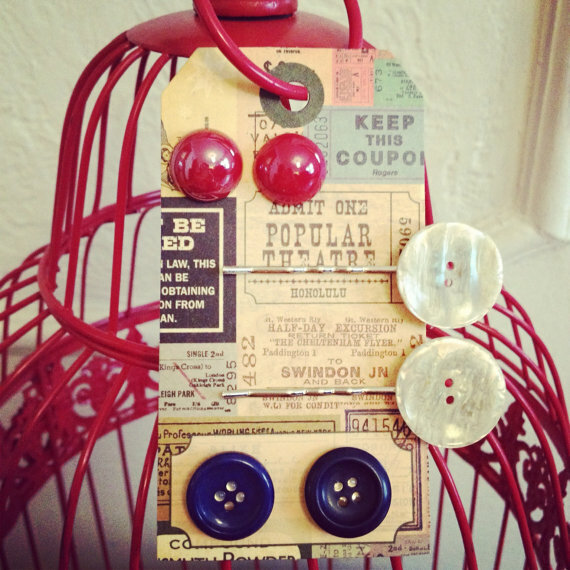 All you need: card stock, buttons, glue, crayons, twine and scissors! Ouila! Homemade cuties for your family from your baby. Happy Holidays! 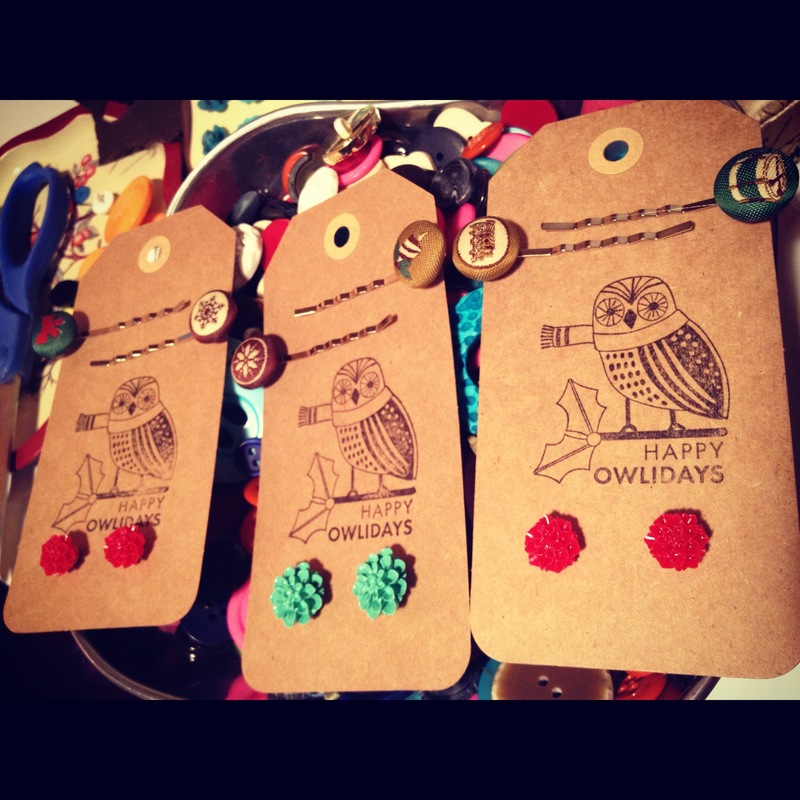 Nautical Earring and Bobby Pin Set Made from Buttons! Ahoy, Matey! This gift set is perfect for the nautical lover: red half dome button earrings, navy blue button earrings, and pearl colored button bobby pins. 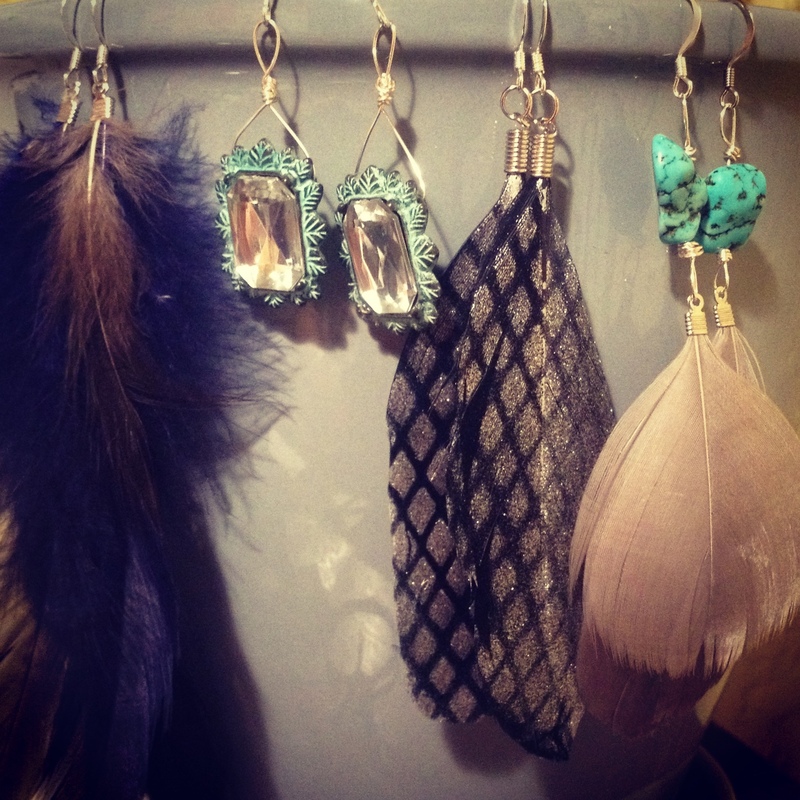 I have been busy making some beautiful earrings for the Yelp! Shop Local Winter Wonderland event tomorrow. 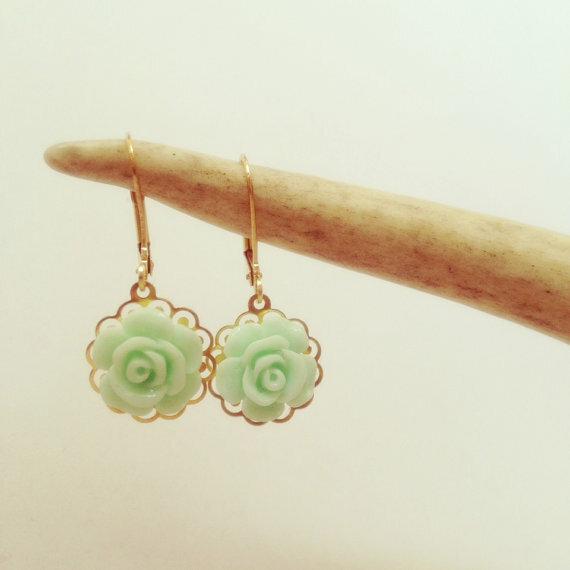 These ones remind me of winter and the holidays. I love 50 degree weather with warm sunshine! 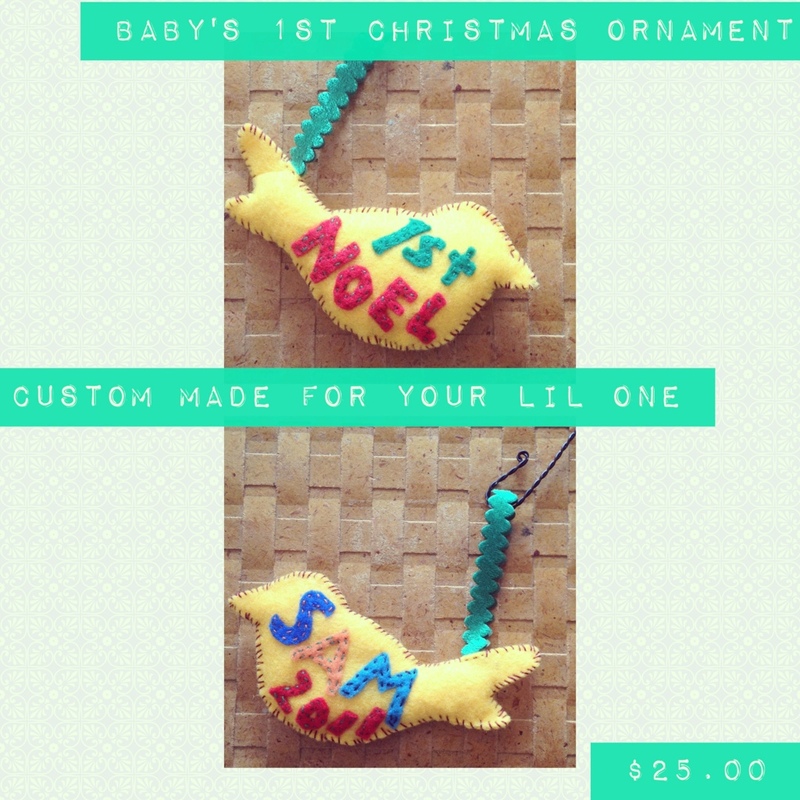 Handmade Baby’s 1st Christmas Ornaments! Papillon Kate hand-sews one-of-a-kind 1st Noel ornaments. One side reads “1st Noel” and the other will have the baby’s name and 2012. A wonderful keepsake and adorable decoration on your tree for years to come. Happy Holidays!